MAN AND THE SPIRITUAL WORLD - CONTENTS. 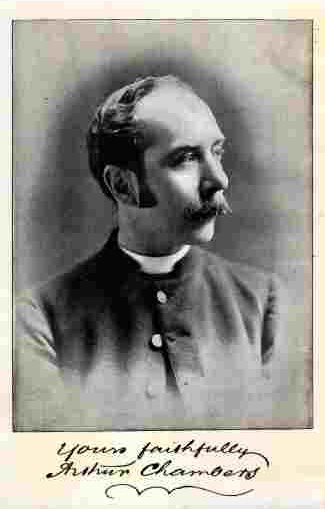 AUTHOR OF AUTHOR OF "OUR LIFE AFTER DEATH"
ELEVENTH EDITION Price— Three Shillings and Sixpence, nett. I GRATEFULLY DEDICATE THIS VOLUME. "MAN AND THE SPIRITUAL WORLD"
An Important Question.—WHAT WILL BECOME OF US WHEN WE DIE? A very few words will express the purpose of this book, and at the same time explain to the reader how it came to be written. Six years ago, after very careful thought and prayer, I wrote a little work entitled, 'Our Life after Death,' and sent it forth to the world, hoping that it might, perhaps, enable a few to better understand certain great truths that I could not help thinking had been overlooked in much of the teaching in the past. There were some who thought it an act of high presumption that I should dare to think on any lines that had not been laid down by the fathers, the schoolmen, and the divines of bygone centuries, as the only permanent way along which it is proper for Christian thought to run. But the Christian public thought otherwise. My little book was greeted with a welcome that astonished me, and filled me with profound gratitude. Edition after edition of it was called for, and within twelve months it had found its way into thousands of Christian homes in England, America, on the Continent, in all parts of the world, and even in the far-away mission stations of India and Japan. Nor is this all. Since its publication more than seventeen hundred letters concerning it have been sent to me from persons of all ranks and conditions in life; all telling me that by the blessing of God the little work has brought comfort and hope to mourning and desolate hearts, has strengthened faith, has flung a light upon difficulties that have perplexed and troubled earnest souls, and has scared away some of those dark and horrible shadows that long ago settled themselves upon Western theology, and linger still. In some of those letters (particularly those received from brother clergymen and other Christian teachers), I was asked questions as to points concerning the Spiritual World, and the character of the life of those who had passed into it. What were my ideas on the subject? Did I think the Bible gave us a sufficient revelation to make it possible to formulate a complete and coherent statement as to Life Beyond? Could I remedy this? Could I complete the subject on which I had already written? Could I do anything to stem the ever-increasing tide of emigration of men and women, in England and America, from the ranks of Christianity to a Modern Spiritualism and Theosophy without Christ, by showing to them that there is no need for them to go to those systems for the knowledge of the Spiritual for which they crave; that the truth, however dimly perceived in the past, is all in the Bible, and that neither Modern Spiritualism nor Theosophy can tell us more about that truth than the Scripture does. I felt I could do this. I felt that a Power from without (God's Power, I think) was drawing me on to try and do this. I have tried, and this volume is the result. It is intended to be a companion - book to 'Our Life after Death,' and I have purposely so constructed it that those who have not read the sister-volume may yet be able to intelligently follow the line of thought pursued in both works. One word more. This book is not written to amuse idlers and novelty seekers, but to try and make great truths plainer to earnest and inquiring souls. To these latter I say, Do not read these pages cursorily and carelessly, as if you were reading a three-volume novel. Do not condemn the work unread because you happen to catch sight of a word or two that upsets your preconceived ideas. But read all that has been written after much thought and care, and then honestly ask yourself, Is this author right? In the light of Divine revelation, as it shines upon us through the pages of Scripture, are these things so? can procure for this book a calm and dispassionate consideration." Scriptural and most fascinating book on the subject which has as yet appeared." Some Press Reviews of "Our Life After Death "
Family Churchman.—"Something more tangible is needed than the worn-out phrases which are daily doled out to solace those whose hearts are bleeding over the forms of the beloved dead. . . . None will read the pages of this book without intense interest, and none will lay it down without great profit. The Rev. Arthur Chambers has gained a reputation that is rapidly becoming world­wide in its extent." Great Thoughts.—"The special value of the book arises from the fact that the author sustains his position by an amount of Biblical evidence which will surprise his readers, if, indeed, it does not thrill them with devout thankfulness." Chronicle, Philadelphia.—"There are books that make—or mark—epochs; this is one of them. ... A thinker has been 'let loose' in the person of the Rev. Arthur Chambers." Daily Mail and Empire, Toronto, Canada.—"This work has had a most phenomenal success. . . . We do not wonder that this is the thirty-fourth edition." Sunday Companion.—"It is certainly one of the most admirable books on the subject." Banner of Faith.—(Extract from a letter from S.P.G. Missionary at Port de Grave, Newfoundland). "Now and then comes a bundle of illustrated newspapers and some charming books, such as 'Our Life After Death,' by Chambers." CHAS. TAYLOR, Brooke House, 22 & 23 Warwick Lane, London, B.C. Illustrated Church News.—"The clergyman whose name appears as the headline of this article, has won for himself considerable fame as an author. His book, 'Our Life After Death,'is destined to find an abiding place in many a Christian home. . . . The subject is very admirably discussed, and the volume will, doubtless, come as a relief to many dubious minds. . . . The style is earnest and convincing, and the reader who takes the book up will not rest content until he has mastered the whole of the contents. . . . The Whitehall Review said of Mr Chambers: 'It is not too much to say that the subject of our notice is one of the men who have striven—and striven successfully—to maintain the hold of the Church over the minds and consciences of the people of this country.'" Christian World.—"This little volume will come as a relief to many dubious minds, and as a comfort to many mourning hearts." Whitehall Review.—"He wrote 'Our Life After Death.' To many who have speculated on the solemn problems opened up by this remarkable work, no finer testimony could be given to the subject of our portrait. ... In our opinion, this book should find a place in the domestic sanctuary of everyone who is really entitled to the designation of Christian." Church Times.—"Is an admirable discussion upon the state in Paradise. It would form an excellent gift to mourners." Gravesend and Northfleet Standard. — "This is an able, persuasive, luminous and logical explanation, illustration and enforcement of the Scriptural doctrine of life after death. . . . It is as clear as a sunbeam, strong as granite, and fervid as a homily." New Church Review (Boston).—"This work must be regarded as an exceedingly interesting contribution to the study of the subject which it discusses." Sun.—"We can confidently recommend Mr Chambers' book to the public, whose appreciation, indeed, is amply evidenced by the fact that this edition is the forty-second. A better gift to a mourner it would be impossible to find." Bristol Times.—"This little volume will be welcomed." Chronicle, Manayunk, Philadelphia.—"After reading it, the Christian feels his heart burn within him, as if fresh from a personal interview with the living, loving Christ. The book has come like the preaching of a new Gospel to the laity of the Episcopal Church in this town." Derbyshire Times.—''The Treatise cannot fail to be a rich blessing to all who shall fortunately possess and study it." West London Church Chronicle.—"The study of Eschatology has been opened up for us by such writers as Archdeacon Farrar, Dr Pusey, Canon Luckock and Edward White. Their influence, however, has been limited; they have appealed rather to the learned and the cultured, than to ordinary individuals. It has been reserved for the Rev. Arthur Chambers to make this subject at all popular—to catch the ear of the ' common people.' "
Church Review.—"To those suffering from bereavement it must be most consoling." Christian Union.—"It is a work that should be read by every Christian minister." Liverpool Mercury.—" There is much food for thought in these pages." Rev. W. P. Lewis, D.D. (Diocese of Pennsylvania), in his work " The Life to Come. "—" Now, let me speak of the last work on the subject, which is, in some respects, the most remarkable of all— ' Our Life After Death.' . . . There is in the book that union of simplicity of style and depth of thought, which is so uncommon. He has opened up the meaning of familiar texts, in a way which largely fulfils Bishop Butler's prediction (pp. 58 and 59). Bishop Butler, with his calm sagacity, said 150 years ago;—'And, as it is owned that the whole scheme of Scripture is not yet understood, so if it ever comes to be understood before the restitution of all things, it must be by the continual progress of learning and of liberty, and by particular persons attending to, comparing and pursuing intimations scattered up and down in it, which are overlooked and disregarded by the generality of the world'" (P- 25). Weekly Despatch.—"The volume has reached its forty-third edition, but it will not stop there. It has a much longer lease of life." The German Edition of this work is published by Mr Paul Spindler, Leipzig; and the American Editions of this work and " Man and the Spiritual World," by Messrs G. W. Jacobs & Co., 103-105 South-Fifteenth Street, Philadelphia.